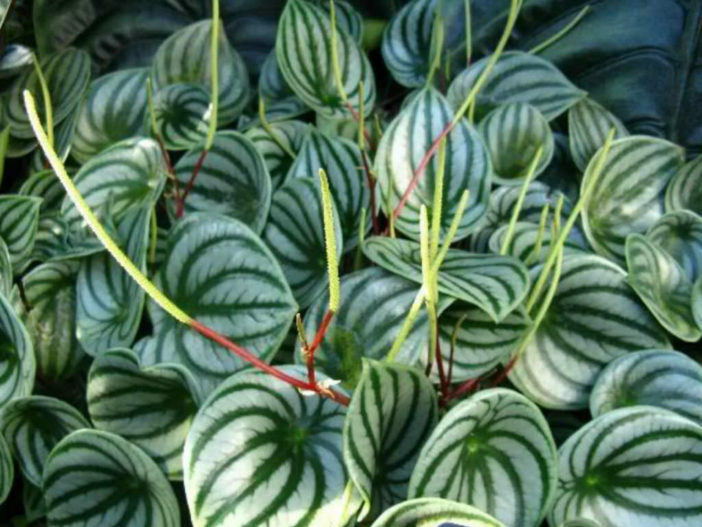 Peperomia argyreia is a compact, nearly stemless, rosette-forming perennial. 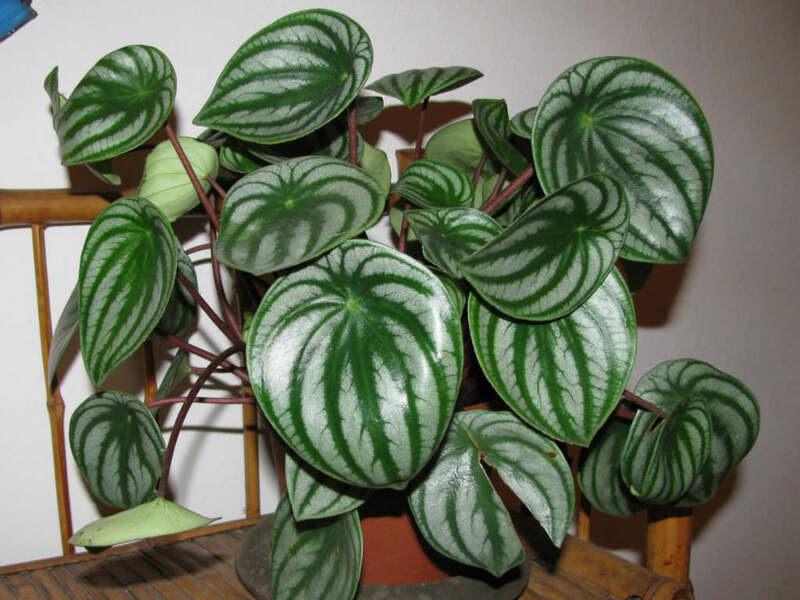 It typically grows up to 8 inches (20 cm) tall as a houseplant. 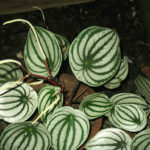 Each round, glossy, fleshy leaf is up to 3.6 inches (9 cm) long and attractively striped with green and silver in a manner reminiscent of watermelon rind. Leaf stems are an attractive red. Small greenish flowers on spikes up to 3 inches (7.5 cm) long, rise slightly above the foliage in summer on red stalks. Flowers are interesting but not particularly showy. USDA hardiness zone 10a to 12b: from 30 °F (−1.1 °C) to 60 °F (15.6 °C). This plant is well suited for planting in containers or hanging baskets. Drainage is critical, so make sure the container has a drainage hole in the bottom. 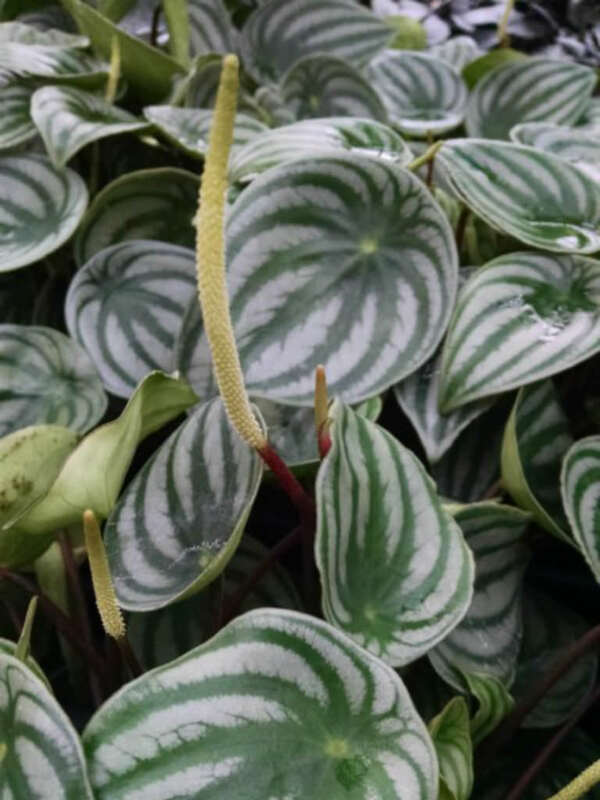 Peperomia grows in any good-quality, regular commercial potting soil or a homemade mixture containing ingredients such as compost, loam or peat moss. A handful of sand or vermiculite promotes drainage. 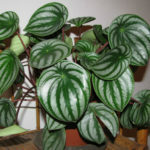 Watermelon Peperomia thrives in bright, indirect sunlight. 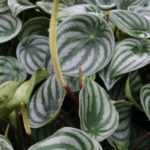 Although most types of Peperomia thrive in bright light, too much light fades the bright colors of the variegated foliage. Indoors, a window with an eastern exposure provides excellent light. Outdoors, grow the plant in light shade or filtered light. 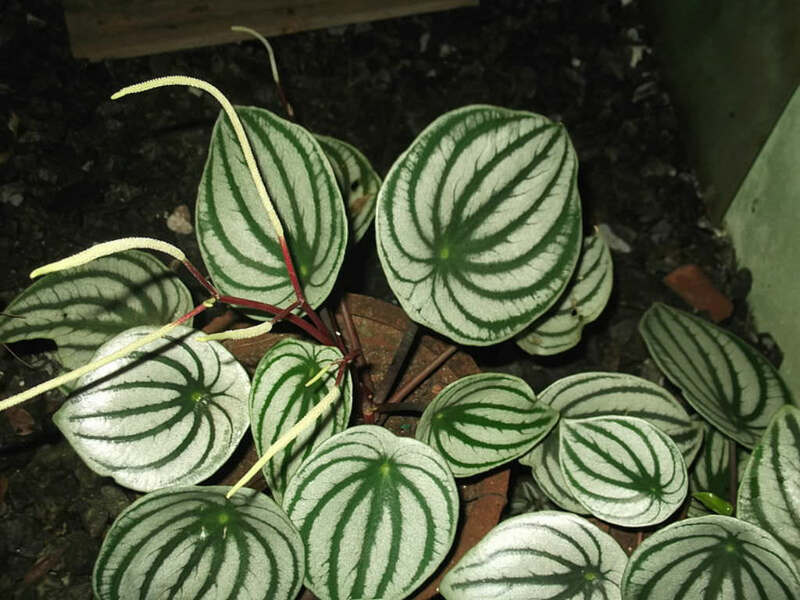 Peperomia argyreia is native to South America.